Summer in Northeast Pennsylvania encompasses nature, baseball games, fireworks, and most importantly family. I live in a small town in Pennsylvania, about ten minutes away from Scranton. Summers in Northeast Pennsylvania, known by locals as NEPA, are ones full of baseball games, bonfires with friends, and long drives late at night with the windows down and the radio up. Often times we complain that there isn’t anything to do in our small town, but are quickly reminded of the beautiful waterfalls and places to hike. Days which turn to nights are spent tailgating on Montage Mountain at one of the many country music concerts and festivals. We spend Friday nights at PNC Field to see the Scranton Wilkes-Barre Railriders play a game and watch the firework show. While we don’t need the beach, a day trip to Jersey always helps. 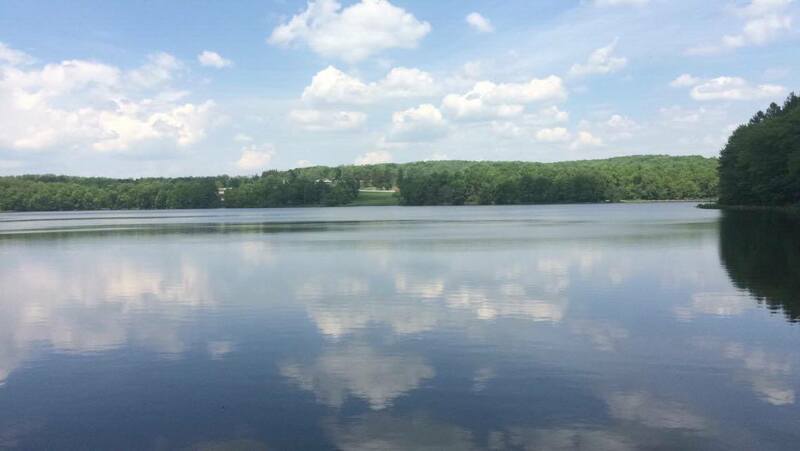 However, for Pennsylvania locals, the lakes are where we cool off from the summer heat. The Delaware Water Gap is another great summer spot. Not only does the Delaware Water Gap cool us off, but holds special summer memories. A popular tourists destination is the Kalahari Water Resort in the Pocono Mountains. Kalahari is the largest resort in the world and draws people from all over the country to see it’s wonder. Ever since I was little, my family always made the most of summers. We play kickball and baseball in the backyard, spend hours in the pool every day, and collapse on the couch at night to watch a movie together. Some of my best memories of summertime in PA are simply driving around town late at night with my sister and some friends, with the windows down and listening to our favorite music. Our friends are people who we’ve gone to school with for our whole lives. We build fires and spend all day every day with friends, even if it’s doing something as simple as going out to Tasty Swirl for ice cream. Independence Day is a huge highlight of the summer. On the 4th, we have barbecues and bonfires with friends and family, followed by watching fireworks at the local middle school. If you’re lucky, you can see the fireworks from your house. My family will gather on the back deck and watch the fireworks over the mountain. The best nights are nights where friends gather together, we have smores by the fire, night swim, and our biggest worry is how many bug bites we will end up having. In our little corner of the state, we find happiness spending our days outside with those closest to us, hiking to one of the many waterfalls, and simply spending a night under the stars. After the long day outside, we grab a quick bite to eat at Kay’s Italian Restaurant and Pizzeria, or a burrito at Pancheros Mexican Grill before going to see a baseball game. Living in a town where everyone knows everyone, the annual picnics, barbecues, and county fair are affairs that everyone comes out to see each other. Summers in Moscow, Pennsylvania are ones that we will never forget, no matter how far we move away from home. Nicole Thurber is a Staff Writer for The Daily Runner.